This is a crappy post to write. Generally, I’m a few steps removed from Atticus’ 1% for Good campaigns – this time it hits home. Courtesy of social media, I recently learned that one of my earliest Seattle friends, Sig is undergoing treatment for Sarcoma – a connective tissue cancer usually associated with children, but occasionally cropping up in adults. 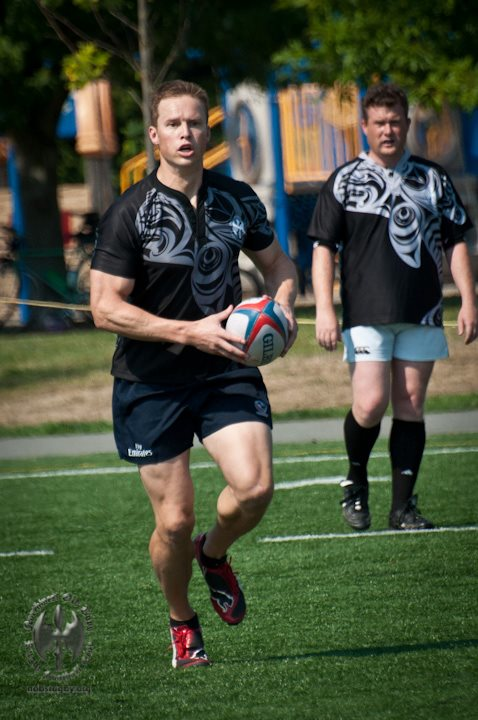 I played rugby with Sig at Old Puget Sound Beach – one of the premier rugby teams in the USA Superleague. He’s every part the rugby player, a huge dude with the body fat of a teenage cross country star. He looks like the love child of Ivan Drago and Arnold Schwarzenegger and specialized in laying our competitors flat on their backs. Even his name is tough – Siegfried Kohl. He’s also a paramedic and on many occassions was called to tape OPSB players up so they could get back on the pitch. For this month’s 1% For Good – we’ve made a donation to The Liddy Shriver Sarcoma Initiative – which dedicates over 97% of donations to sarcoma cancer research. Thanks to a slew of new clients, we had a record month in January – if you count among Atticus’ client base, thank you for making this possible.